Let’s be honest, grout eventually ages and begins to look bad, but most homeowners think there is only one solution for old, ugly grout, and that is to remove the tile and start all over. 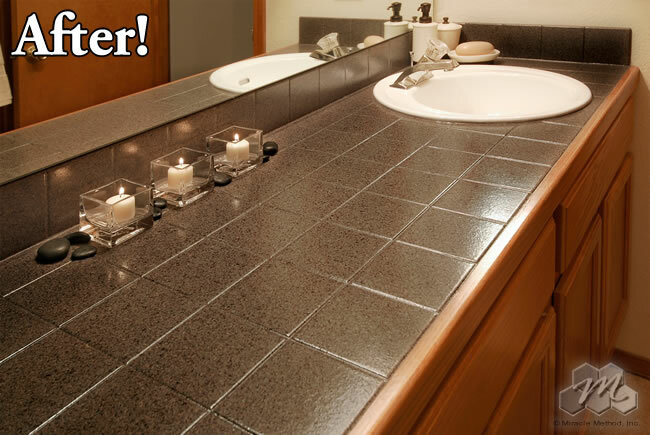 However, there are ways to clean your bathroom grout by hiring a qualified contractor for the job. It may not be a do-it-yourself job, but cleaning grout and making old grout look new doesn’t have to be a big repair or budget-breaking job. You can even remove the need to scrub the grout in the future. How does this particular grout cleaning work? And how do I get the cherry on top of never scrubbing the grout in my bathtub or shower area again, you ask? 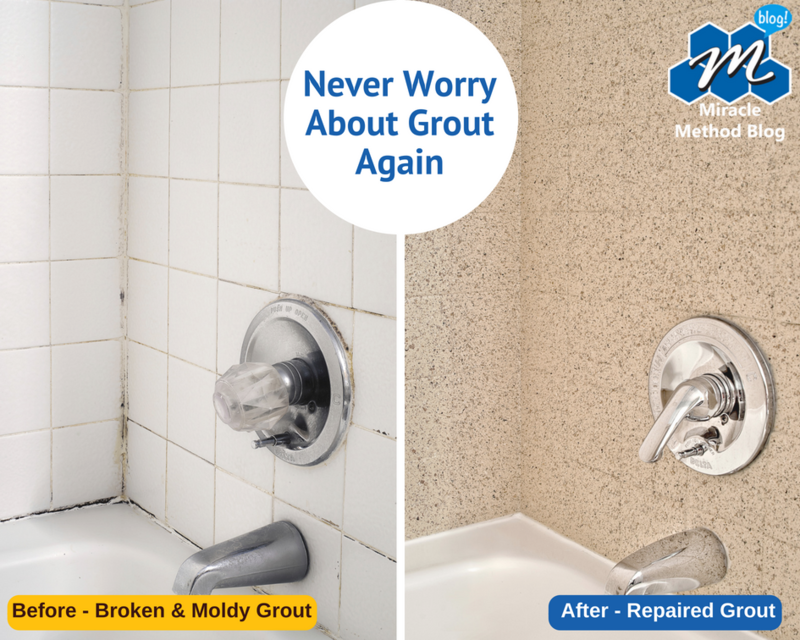 Sealing it with Miracle Method’s proven process will eliminate the time required to maintain the grout in the future. 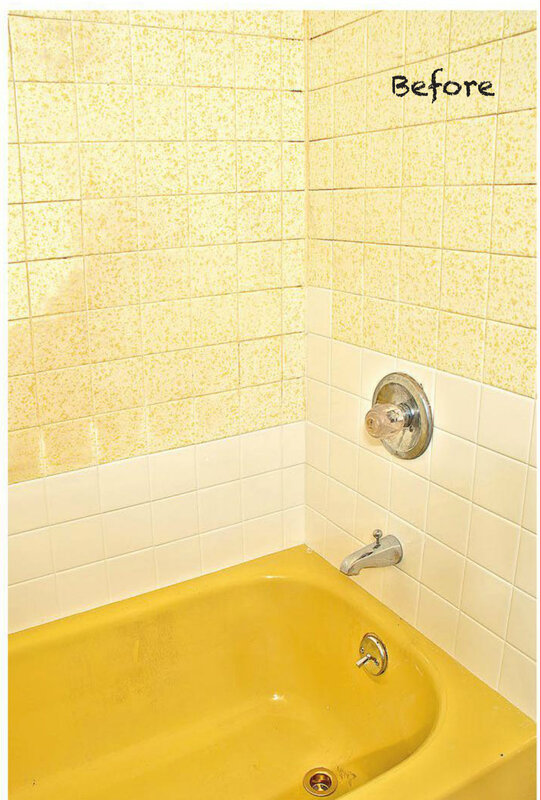 In fact, once you have your grout refinished and sealed, all you really need to do is wipe down the area where the grout was once exposed just like you do the rest of your tile. When you have your tile area refinished, Miracle Method will float the grout with a special unsanded grout to fill in any voids or cracks. After the grout is dry, we wipe down the entire area and apply our MM-4 bonding agent to ensure adhesion with the new coating. Permanently sealing in the grout when refinishing the tile also takes a shorter time and costs considerably less than having to rip it out and replace it altogether. In fact, most jobs are completed in just 2 days. Contact Miracle Method for more information at 855-212-7337 about transforming your tile and never clean grout again. Make your bathroom beautiful and easier to clean without breaking the bank. With normal use over time, grout in tile floors, walls, vanities, and countertops can become stained, moldy and be almost impossible to keep clean. 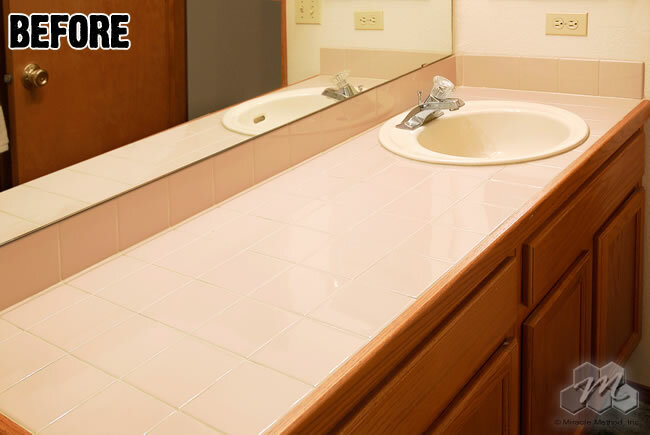 Home owners, hotels, hospitals, and property managers call Miracle Method to solve this problem by refinishing their ceramic tile. With their proprietary refinishing process, Miracle Method can repair any tile damage and then apply a beautiful, yet durable new finish that permanently seals grout lines! With refinishing, there is no longer any reason to rip out and replace tile only to face the same, on-going burden of cleaning and sealing grout lines. 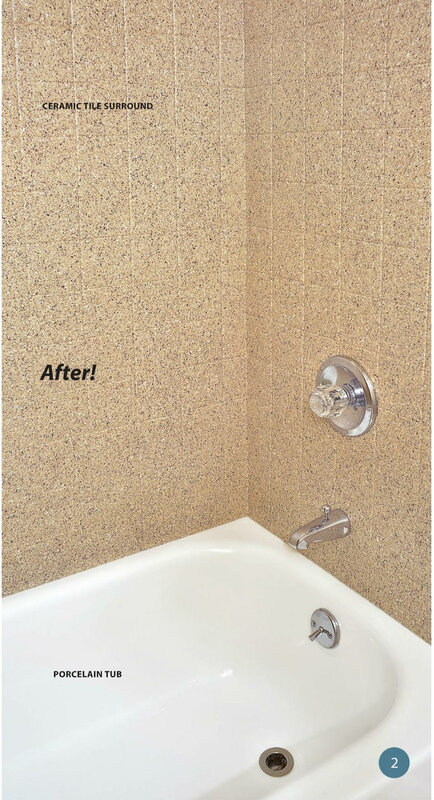 Refinishing tile can save up to 75% over the cost of replacement and most jobs can be completed in two days or less! This unique method of refinishing instead of replacing saves you thousands. Most projects are completed in just 2 to 3 days! 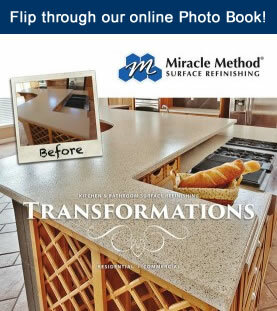 Contact your local Miracle Method franchise to begin the process that will make your tub, tile, or countertop beautiful again. Want to learn how you can stop cleaning and regrouting your tile? Give us a call at 855-212-7337 or click this link to find the Miracle Method location in your area.